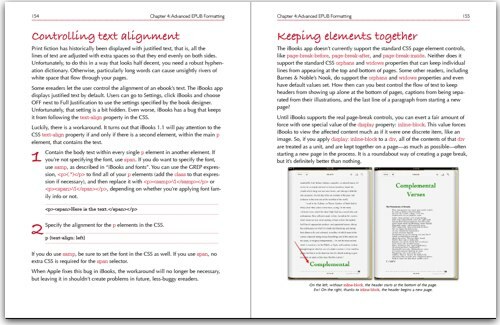 Here is an excerpt from my new book about formatting ebooks in EPUB format, EPUB Straight to the Point: Creating ebooks for the Apple iPad and other ereaders. Apart from these 8 pages, you can also consult the table of contents and the index online. 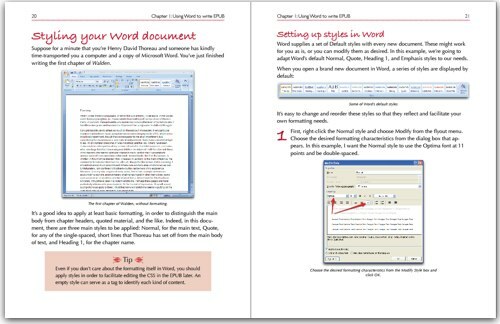 These first pages are from Chapter 1: Using Word to write EPUB. Click on the image to see the corresponding full-quality PDF file. 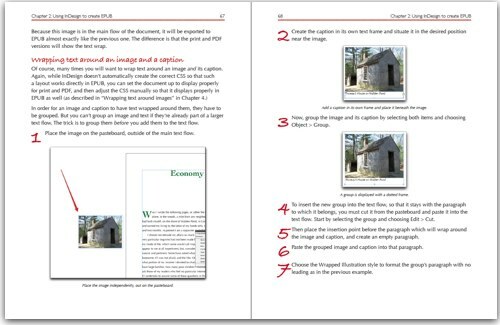 This next spread is from Chapter 2: Using InDesign to create EPUB. Click on the image to see the corresponding full-quality PDF file. The third spread is from Chapter 3: Inside an EPUB file. Click on the image to see the corresponding full-quality PDF file. 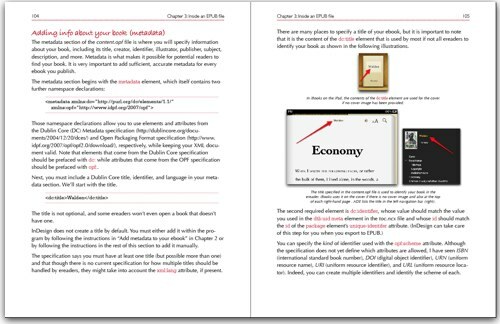 The final spread in the excerpt is from Chapter 4: Advanced EPUB Formatting, which details all the cool things you can do after you're done with Word and InDesign.